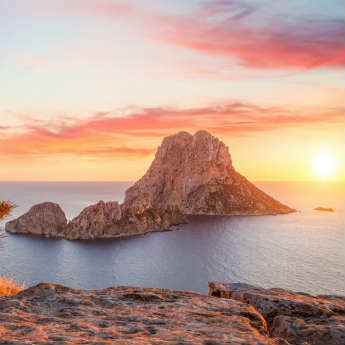 When you think of Ibiza, the first thing that springs to mind is all-night clubbing and glamorous beach parties. 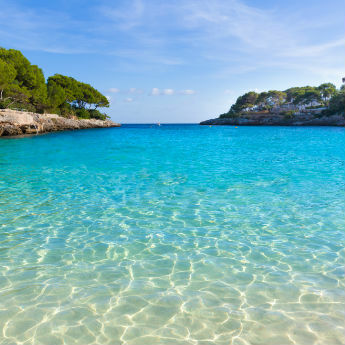 But did you know that the White Isle also has a more cultured side? Above Ibiza Town sits Dalt Vila, the beautiful old town where you can take a journey into history, getting lost in mazes of cobbled streets and walking the majestic walls that once defended the town from invaders. If you're thinking of visiting Dalt Vila, these are the eight things you need to know before you go! It’s so well-preserved, UNESCO have named it as a World Heritage Site. There are many landmarks and buildings in Dalt Vila that have survived in almost perfect condition for hundreds of years. Its Spanish name, Dalt Vila, translates as ‘High Town’ dueto its hilltop location above Ibiza Town. This means there are fantastic views of the new town and port below! The old town’s main entrance, Portal de ses Taules, is an arched gateway reached via a paved slope and a dramatic drawbridge, but there’s also a side entrance called Portal Nou and a car entrance. There are three official walking routes around the town - the Classic Route, the Route of the Bastions which focuses on the walls and town perimeter, and the Unknown Route that takes you on a scenic trail through all the town's tiny alleyways. You can pick up a map at the Tourist Information Office, or go it alone! The Santa Maria d’Eivissa Cathedral sits at the centre and is the highest point in the town. 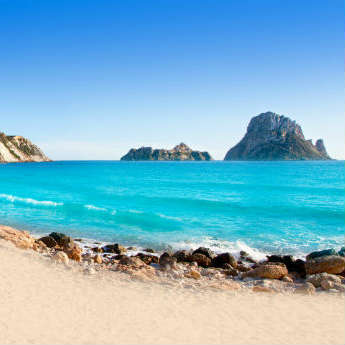 The name translates as 'Our Lady of the Snows' - a curious fact as snow is almost non-existent in Ibiza! Calle de la Conquista is the town's most surprising street. Outside an old hotel are rows of tiles with the handprints of celebrity guests preserved in the concrete. Most are Spanish stars unknown to UK visitors, but you can spot Penelope Cruz's prints hidden away in a corner! If your long walk around the town works up an appetite, have a snack stop at S'Escalinata! Customers lounge on colourful bean bags on the steps outside the restaurant, the bread with hummus or guacamole is perfect for a quick bite, and the views are incredible. Cars can get through the Old Town, but the narrow streets make it a nerve-wracking ride! If you're not up to the walk, it's far better to opt for one of the tiny rickshaws that zoom around the town looking for customers.